Price includes: $1,000 - current cash offer available by Toyota, plus, tax, title, license and $283.50 dealer documentation fee, Exp. 04/30/2019. Silver Sky 2019 Toyota Tacoma SR V6 4WD 6-Speed Automatic V6 4WD. Price includes: $1,000 - current cash offer available by Toyota, plus, tax, title, license and $283.50 dealer documentation fee, Exp. 04/30/2019. Midnight Black 2019 Toyota Tacoma SR V6 4WD 6-Speed Automatic V6 4WD. Price includes: $1,000 - current cash offer available by Toyota, plus, tax, title, license and $283.50 dealer documentation fee, Exp. 04/30/2019. Super White 2019 Toyota Tacoma SR5 4WD 6-Speed Automatic V6 4WD. Price includes: $1,000 - current cash offer available by Toyota, plus, tax, title, license and $283.50 dealer documentation fee, Exp. 04/30/2019. Barcelona Red 2019 Toyota Tacoma SR V6 4WD 6-Speed Automatic V6 4WD. Price includes: $1,000 - current cash offer available by Toyota, plus, tax, title, license and $283.50 dealer documentation fee, Exp. 04/30/2019. Magnetic Gray 2019 Toyota Tacoma TRD Offroad 4WD 6-Speed Automatic V6 4WD. Price includes: $1,000 - current cash offer available by Toyota, plus, tax, title, license and $283.50 dealer documentation fee, Exp. 04/30/2019. Gray 2019 Toyota Tacoma TRD Offroad 4WD 6-Speed Automatic V6 4WD. Price includes: $1,000 - current cash offer available by Toyota, plus, tax, title, license and $283.50 dealer documentation fee, Exp. 04/30/2019. Super White 2019 Toyota Tacoma TRD Offroad 4WD 6-Speed Automatic V6 4WD. Price includes: $1,000 - current cash offer available by Toyota, plus, tax, title, license and $283.50 dealer documentation fee, Exp. 04/30/2019. Midnight Black 2019 Toyota Tacoma TRD Sport 4WD 6-Speed Automatic V6 4WD. 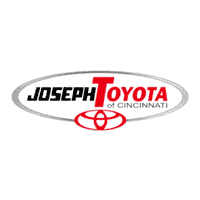 Price includes: $1,000 - current cash offer available by Toyota, plus, tax, title, license and $283.50 dealer documentation fee, Exp. 04/30/2019. Silver Sky 2019 Toyota Tacoma Limited 4WD 6-Speed Automatic V6 4WD. Price includes: $1,000 - current cash offer available by Toyota, plus, tax, title, license and $283.50 dealer documentation fee, Exp. 04/30/2019. Midnight Black 2019 Toyota Tacoma TRD Offroad 4WD 6-Speed Automatic V6 4WD. Recent Arrival! Price includes: $1,000 - current cash offer available by Toyota, plus, tax, title, license and $283.50 dealer documentation fee, Exp. 04/30/2019. Super White 2019 Toyota Tacoma TRD Sport 4WD 6-Speed Automatic V6 4WD. Barcelona Red 2018 Toyota Tacoma TRD Sport 4WD 6-Speed Automatic V6 4WD, 120V/400W Deck Mounted AC Power, Auto-Dimming Inside Rear-View Mirror w/Compass, Automatic Headlights, Blind Spot Monitor w/Rear Cross Traffic Alert, Color-Keyed Overfenders, Dual Zone Automatic Climate Control, Engine Immobilizer, Entune App Suite, Hard Tri-Fold Tonneau Cover, Heated Front Seats, Leather Seat Trim, LED Daytime Running Lamps, Power Sliding Rear Window w/Privacy Glass, Power Tilt/Slide Moonroof, Radio: Entune Premium JBL AM/FM/CD w/Nav & App Ste, Rear Parking Assist Sonar, Smart Key w/Push Button Start, Technology Package, TRD Premium Sport Package (PQ), Variable Intermittent Wipers, Wide Angle Front Fog Lamps. Price includes: $1,000 - current cash offer available by Toyota, plus, tax, title, license and $283.50 dealer documentation fee, Exp. 04/30/2019. Super White 2019 Toyota Tacoma TRD Offroad 4WD 6-Speed Automatic V6 4WD. Recent Arrival!